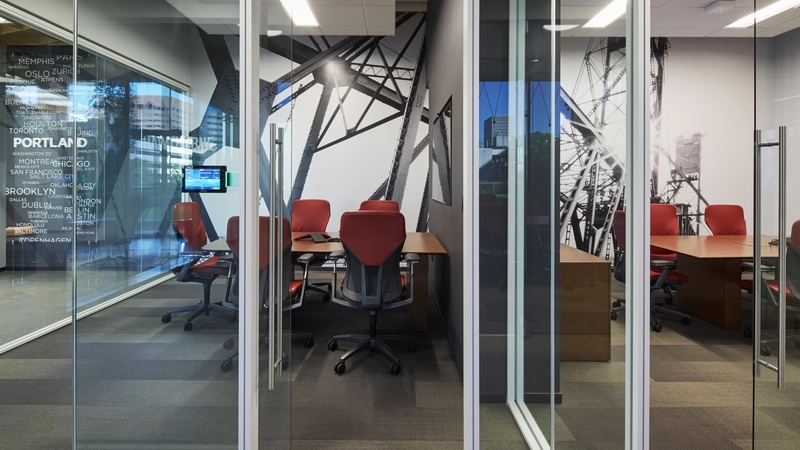 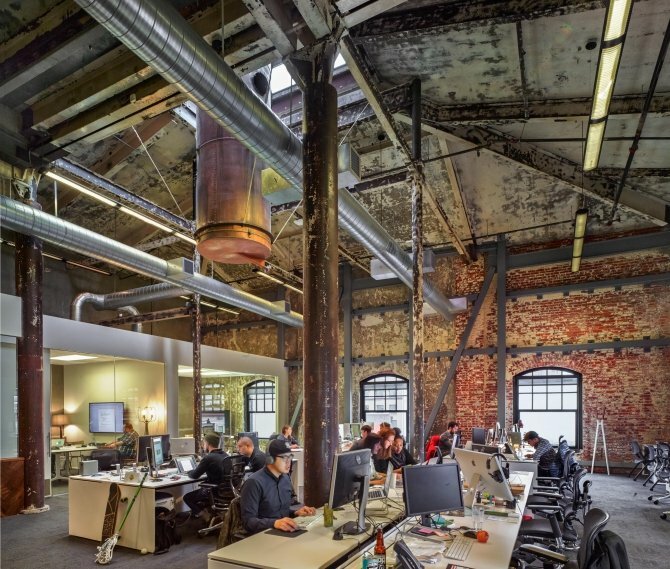 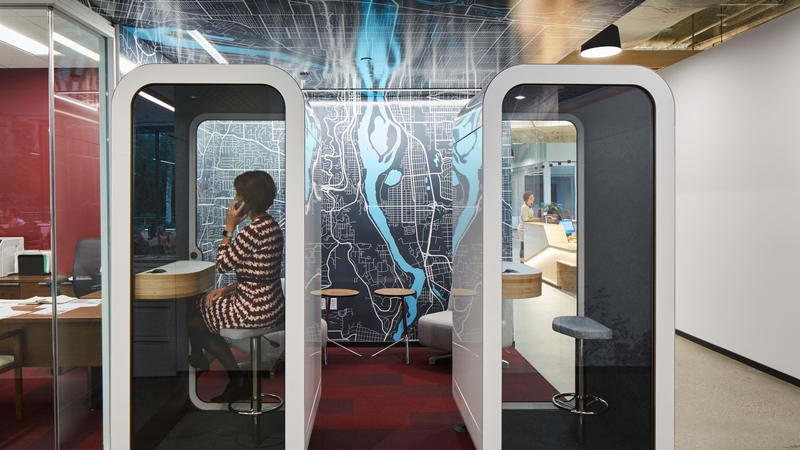 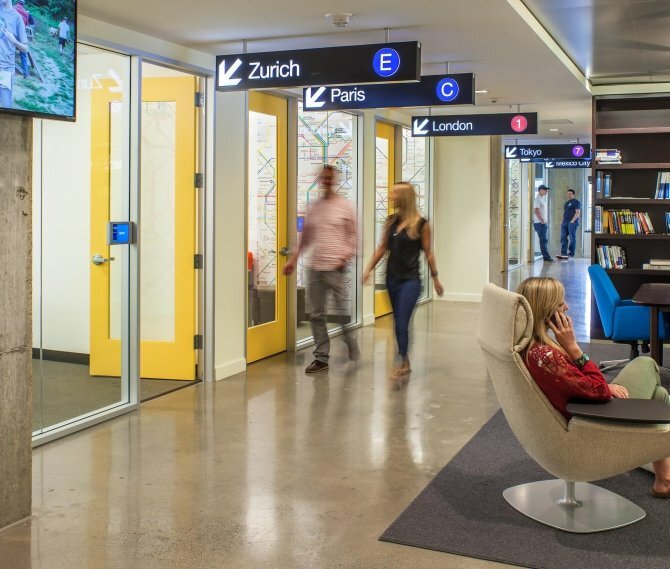 Space utilization was key, so we designed more open-plan workstations and meeting areas to promote collaboration. 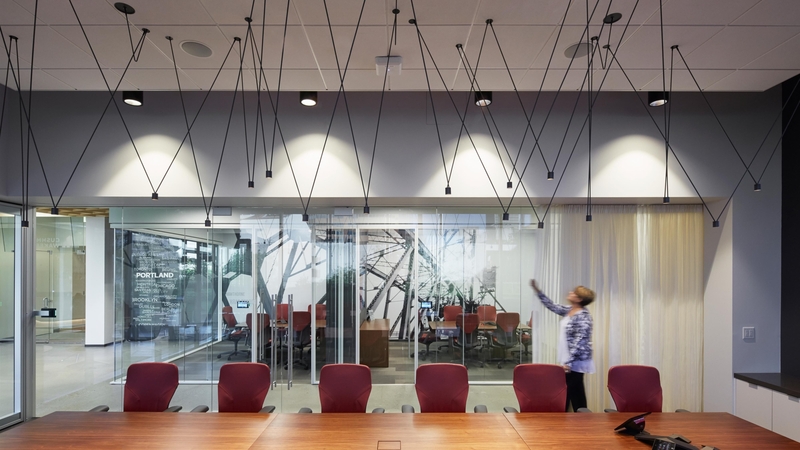 Building on the open-concept vision, offices and meeting rooms feature floor-to-ceiling glass walls and windows to create natural flow between spaces. 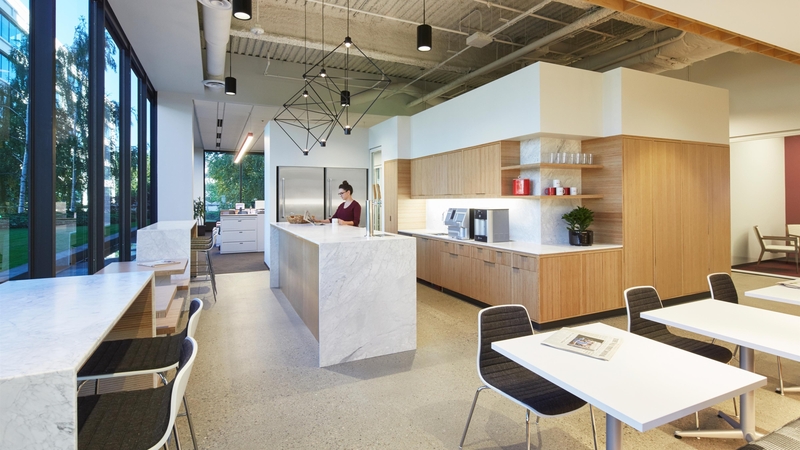 In addition to more conference rooms and open meeting spots, the new design transformed the break room from an afterthought to a truly revitalizing space connected to the outdoors. 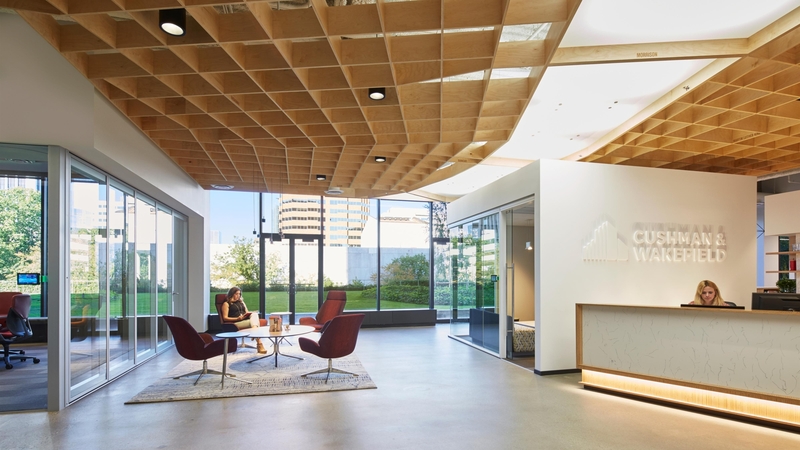 From the entryway, a suspended wood structure with subtle lighting features an abstract grid of Portland streets. 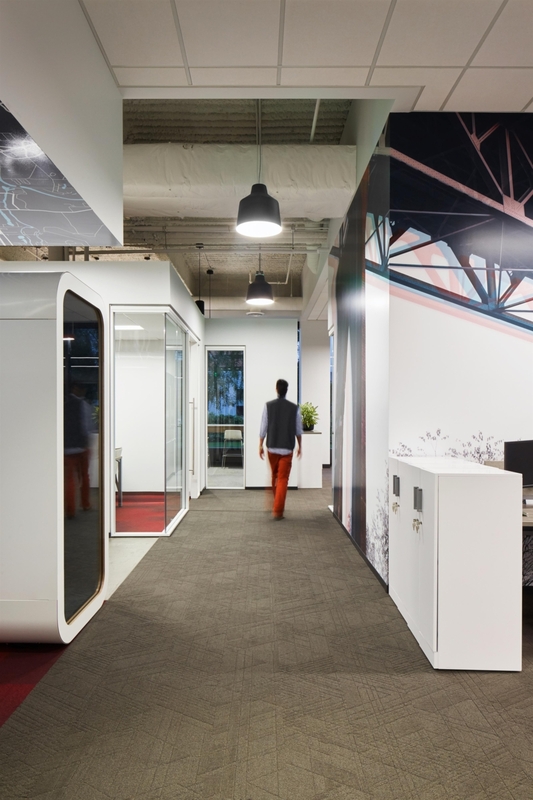 The structure leads into the break room area, offering a seamless flow into the office and an appreciation for design and function. 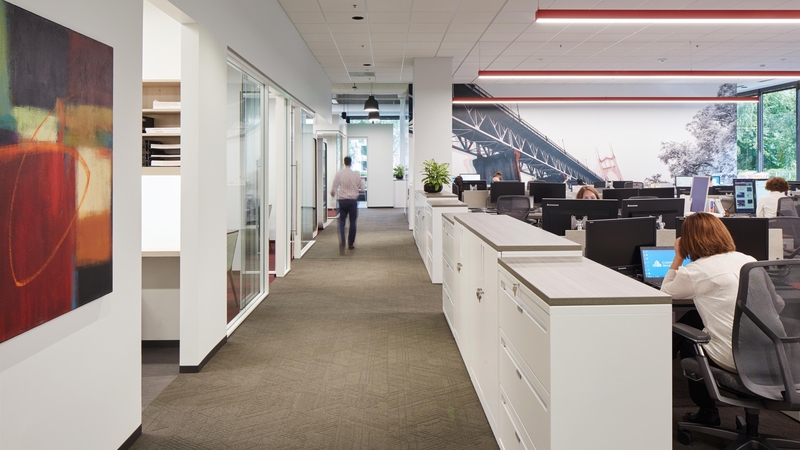 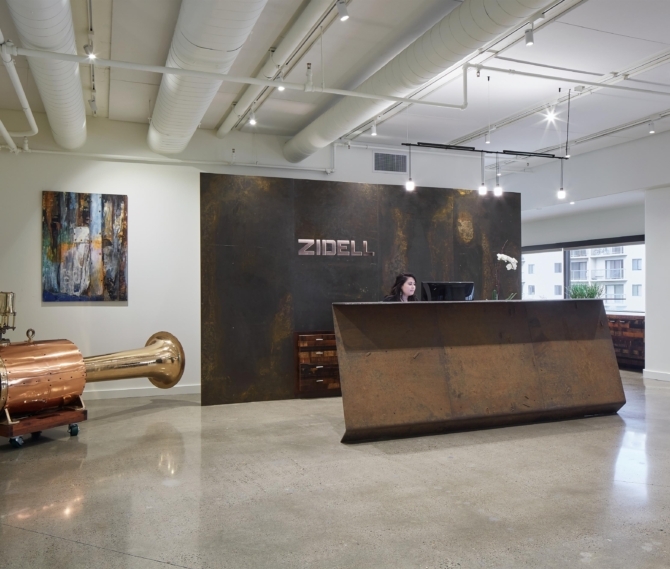 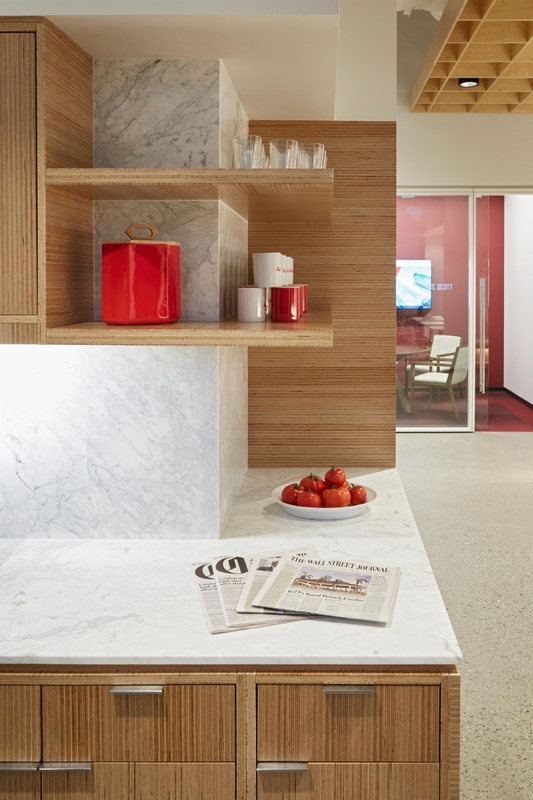 An acute attention to detail allowed us to elevate typical office spaces. 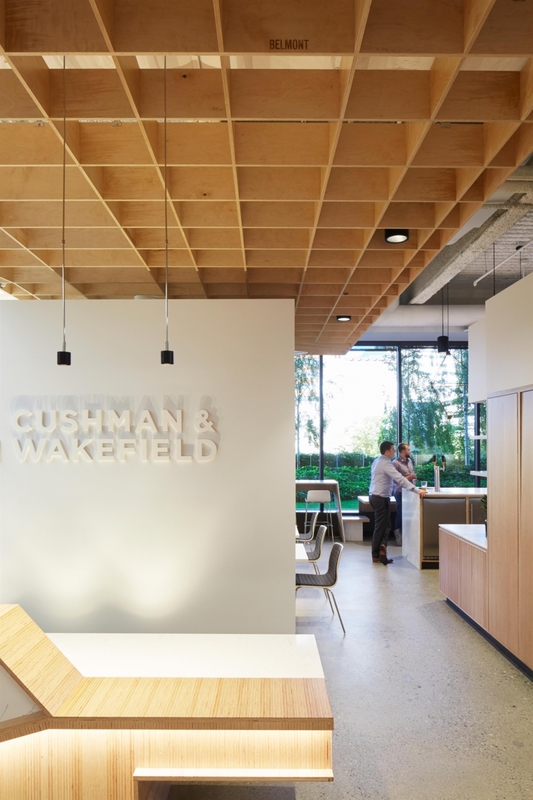 In the break room, custom casework along the exterior window provides different types of seating, while also paying homage to Portland’s focus on makers and handcrafted design. 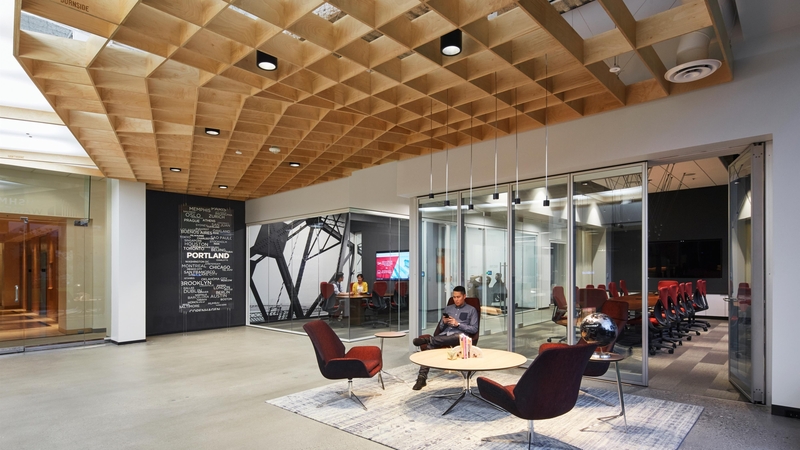 Every element was chosen to align with an authentic Portland lifestyle—from the bike and wellness rooms to the custom wall graphics that depict Portland’s iconic bridges. 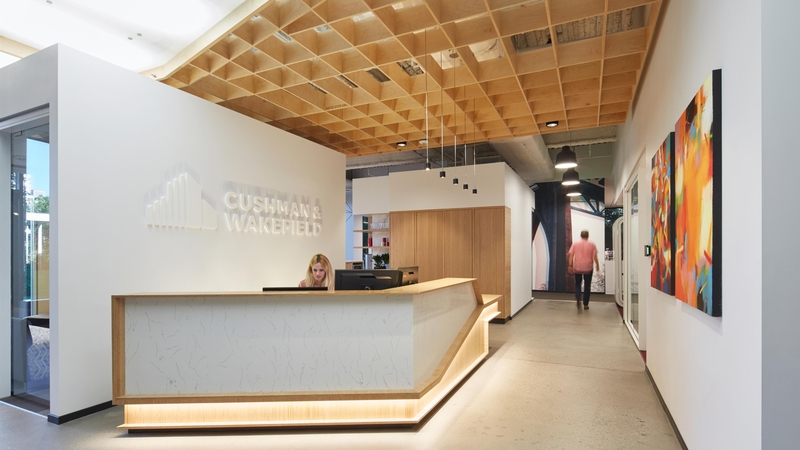 Working with Cushman & Wakefield’s company values and regulations, our team developed a truly functional, yet elevated office redesign.